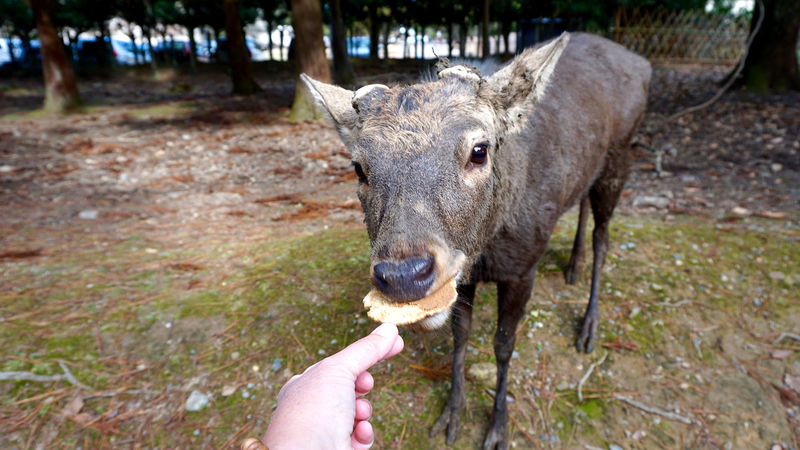 A few weeks ago, I was on a day trip to Nara, waiting for the signal to change so I could cross the street. That’s when an older Japanese man standing next to me asked: Are you enjoying our city? As we crossed, I told him that I was enjoying it very much — especially the deer. We continued walking, and he shared that he was a volunteer guide on his way to meet some tourists. I shared that I was a visiting American on my way to the Nakatanidou shop for some mochi. His English was good enough for us to converse, provided I didn’t speak too quickly or get too colloquial. 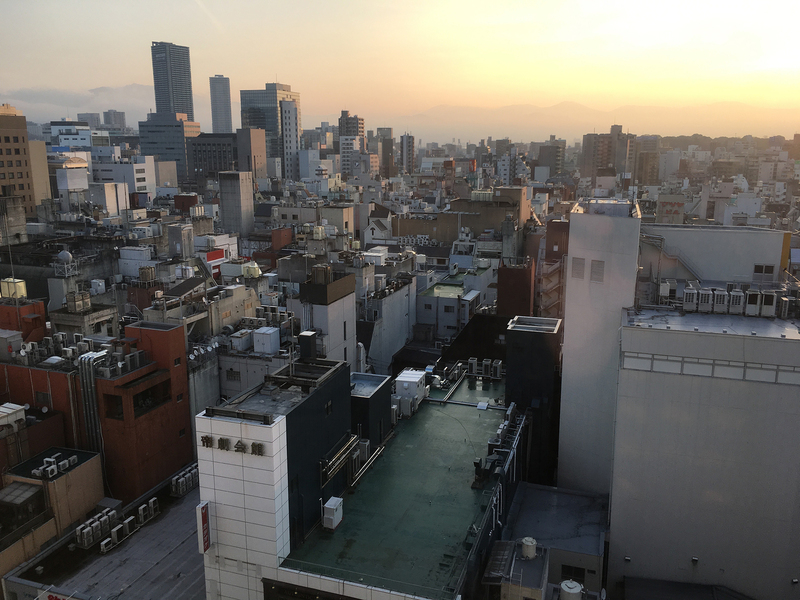 He asked me where else I was traveling to in Japan, and I rattled off a list of cities, including Hiroshima. The man replied that he was originally from Hiroshima. I told him that I wanted to visit the city very much … but that what happened there made me very sad, and that I hoped that people would learn from it and not repeat what happened. 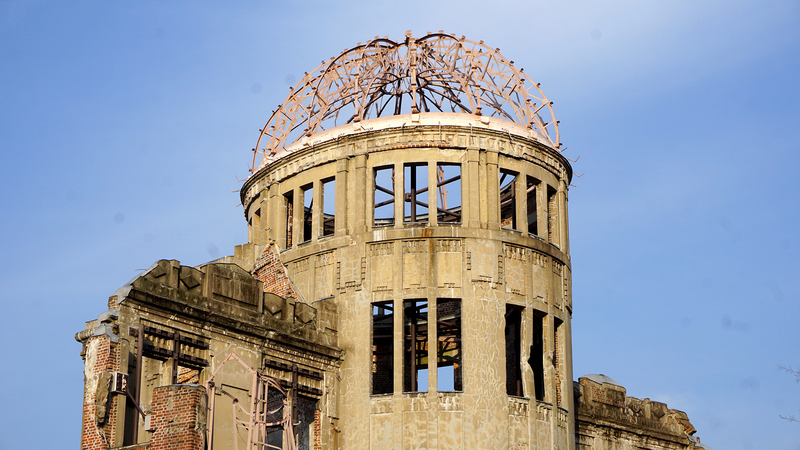 It was the first conversation I’d had with any Japanese person about Hiroshima, and it was hard to know what to say. What can you say? Here’s the rest of that conversation. It didn’t last very long, but my walking companion managed to communicate a lot in just a handful of words. Him: Our Prime Minister will be visiting Pearl Harbor soon. Me: Yes! I’d heard that! Him: And President Obama came to Hiroshima. Me: Yes, I was very happy when that happened. And that was it. We gravitated toward other topics and eventually parted ways. But I’ve thought of that man so many times since our brief walk, and certainly during the three days I spent in Hiroshima. Like other major cities in Japan, it’s very easy to get to Hiroshima by bullet train. Although it’s feasible to visit as a day trip from Osaka or Kyoto, it’s nice to spend at least one night. Staying two nights would allow for a ferry ride to Miyajima. 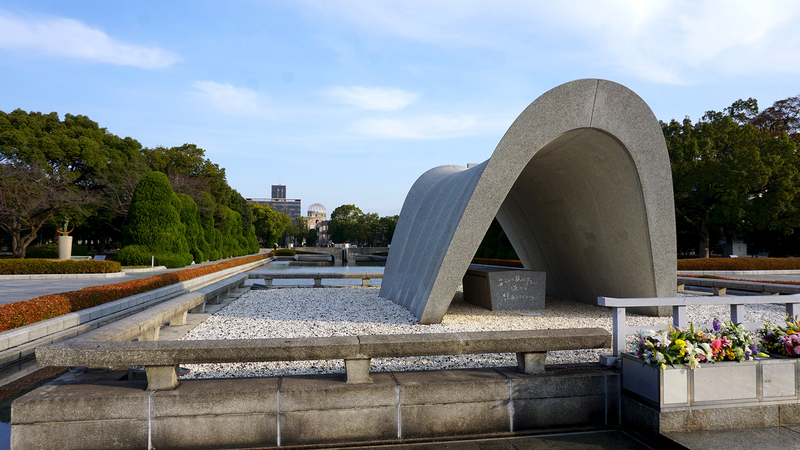 Either way, the most visited sites in Hiroshima are concentrated in an area known as the Peace Memorial Park. Please don’t let what happened here happen anywhere else in the world. 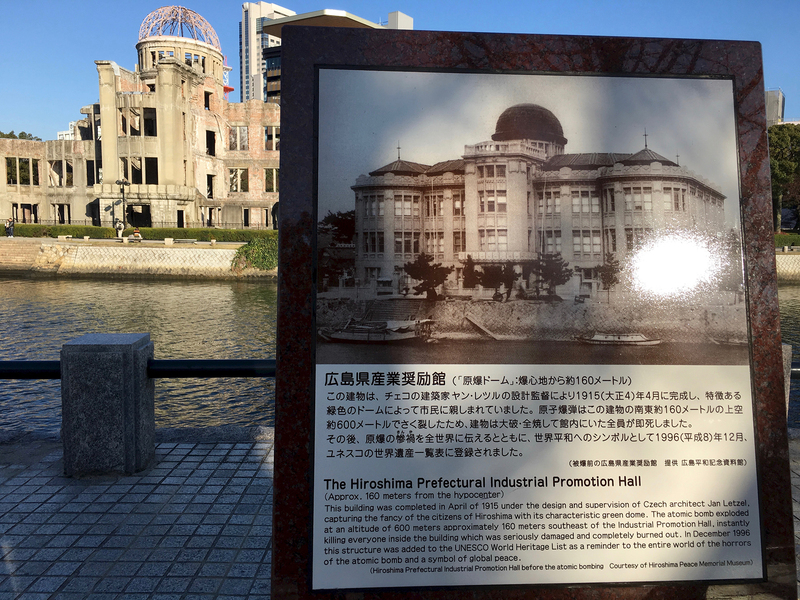 Hiroshima’s most striking visual is the Industrial Promotion Hall, or Atomic Bomb Dome, which survived the blast and has been reinforced to serve as an icon for what happened on August 6, 1945 at 8:15 a.m. The Peace Park’s Cenotaph contains the names of all the bomb’s victims. 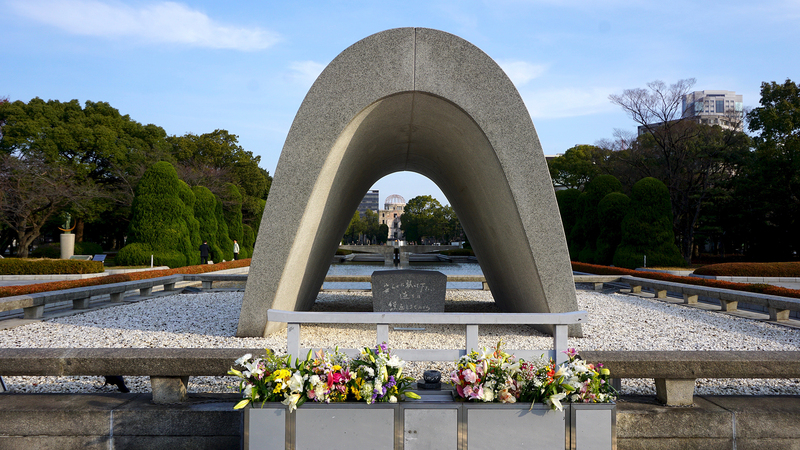 The arch, which symbolically provides them with shelter, frames the Atomic Bomb Dome in the distance. The memorial features a Peace Flame that has burned continuously since it was lit in 1964. The pedestal was designed to suggest two hands pressed together at the wrist and bent back so that the palms point up to the sky. It has become the symbol of anti-nuclear weapons, sending the following message: Let’s keep burning the fire until nuclear weapons are eliminated from the entire earth. The Children’s Peace Monument mourns the children who were killed when the bomb was dropped, or afterwards from their injuries or effects from radiation. Sadako was two years old when she was exposed to the A-bomb. She had no apparent injuries and grew into a strong and healthy girl. However, nine years later in the fall when she was in the sixth grade of elementary school (1954), she suddenly developed signs of an illness. In February the following year she was diagnosed with leukemia and was admitted to the Hiroshima Red Cross Hospital. 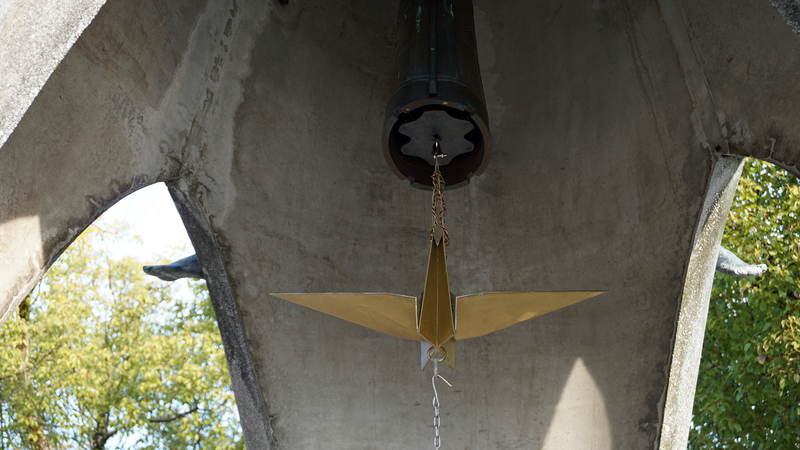 Believing that folding paper cranes would help her recover, she kept folding them to the end, but on October 25, 1955, after an eight-month struggle with the disease, she passed away. 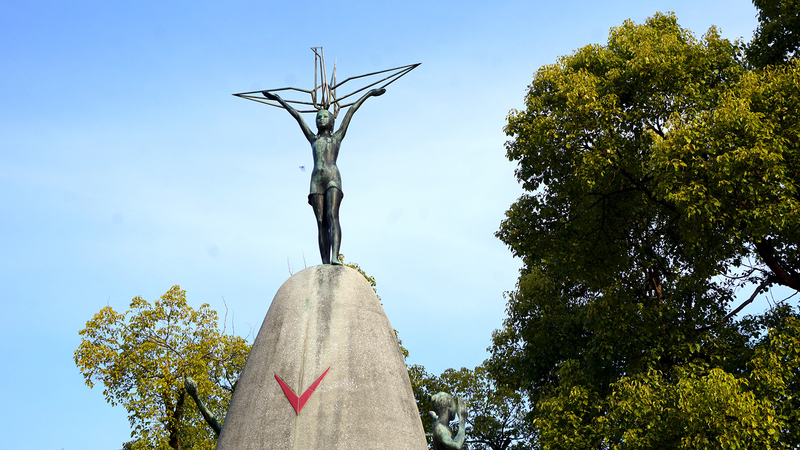 Sadako’s death triggered a campaign to build a monument to pray for world peace and the peaceful repose of the many children killed by the atomic bomb. 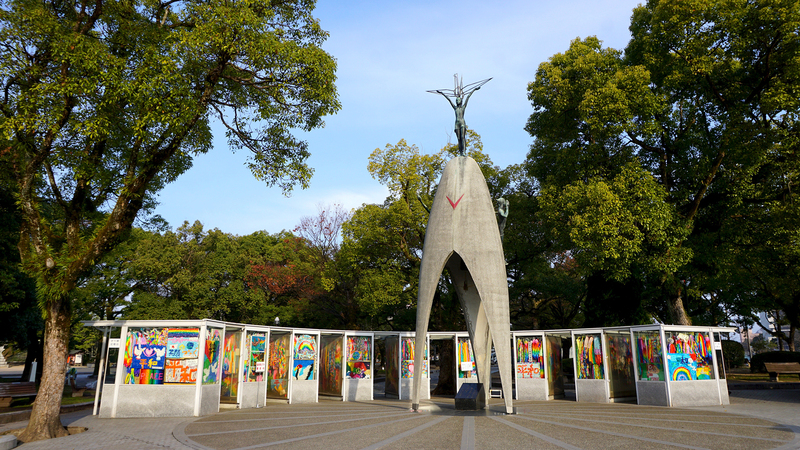 The Children’s Peace Monument that stands in Peace Park was built with funds donated from all over Japan. 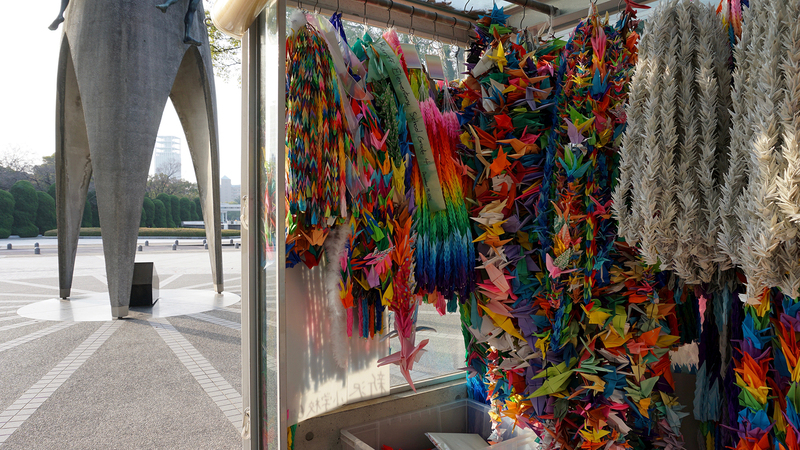 Later, this story spread to the world, and now, approximately 10 million cranes are offered each year before the Children’s Peace Monument. 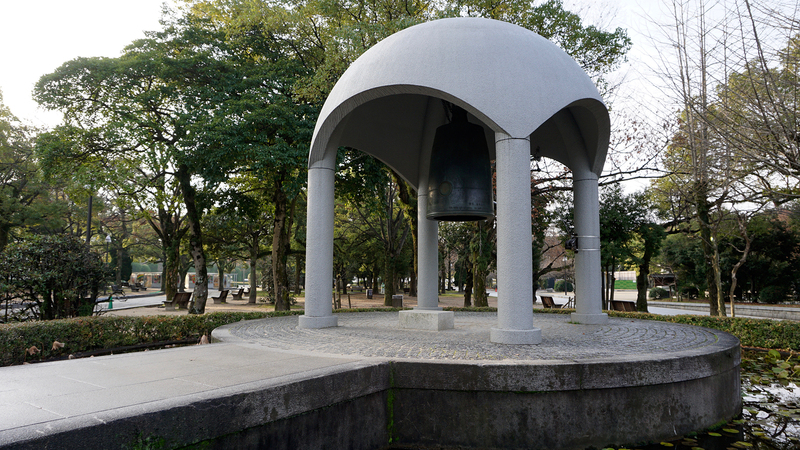 There’s a bell that visitors can ring and display cases containing a tiny portion of the cranes received regularly from around the world — many created by school children. 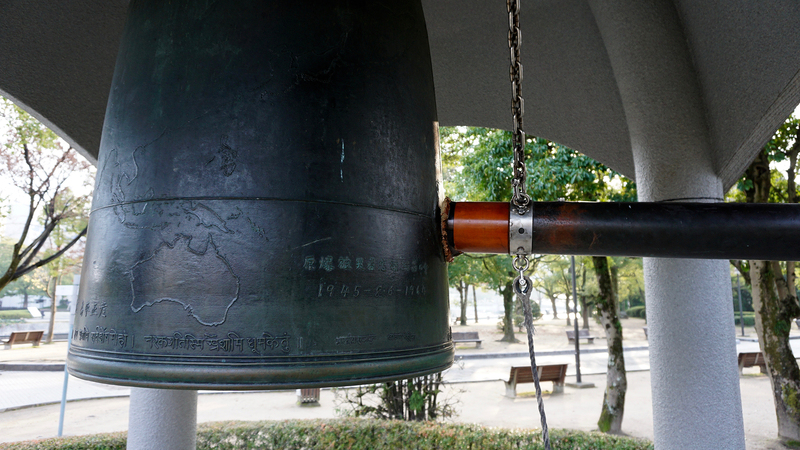 There’s another bell nearby — the Bell of Peace — that visitors are encouraged to ring. 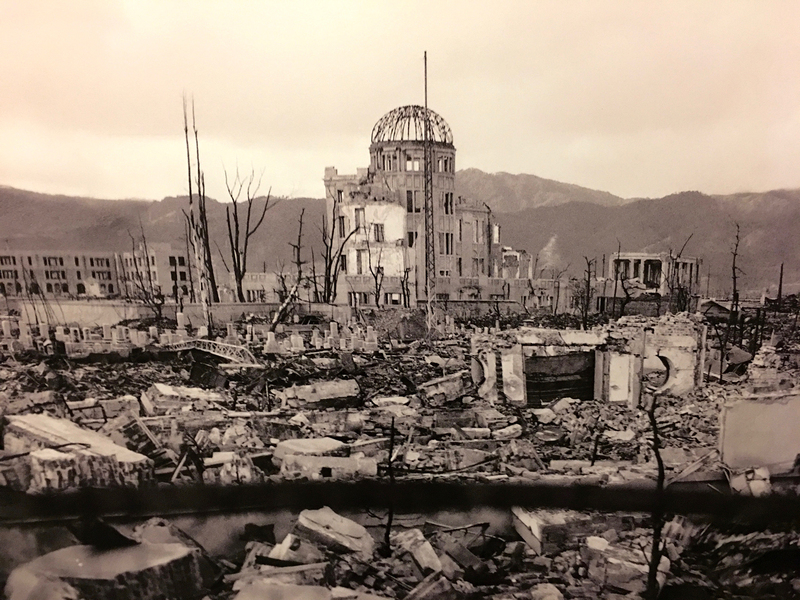 The Hiroshima Peace Memorial Museum chronicles the moments leading up to the bomb’s drop and the horrifying aftermath. 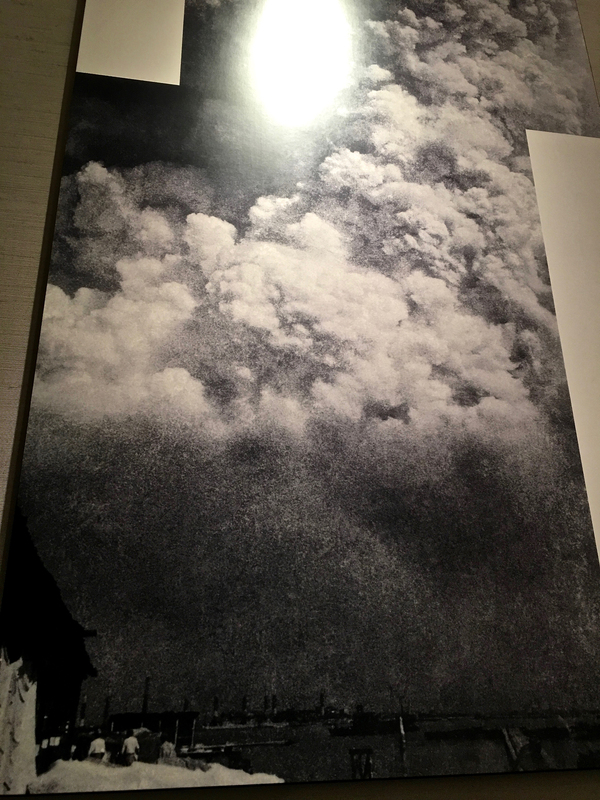 One of the first displays I encountered included a photo of the actual blast. Even the wide angle couldn’t capture the height of the mushroom cloud. I noticed the people at the bottom of the photo, watching from a distance. I simply cannot imagine what they must have been thinking or feeling. The museum goes into shocking, and necessary, detail to convey the impact of the bomb and the force and heat that it generated — enough to bend concrete and steel, char the food inside a school boy’s lunch tin and leave victims with few or no clothes and burns so severe it looked like the skin was dripping off of their bodies. The museum also features written and videotaped accounts from survivors, also known as hibakusha. 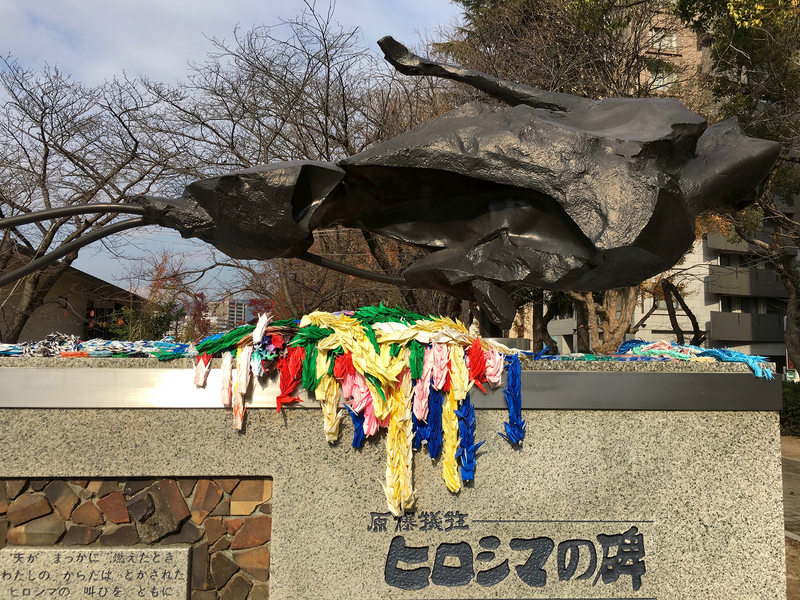 There’s also a library database of hibakusha and eye-witness stories available at the nearby National Peace Memorial Hall for Atomic Bomb Victims. 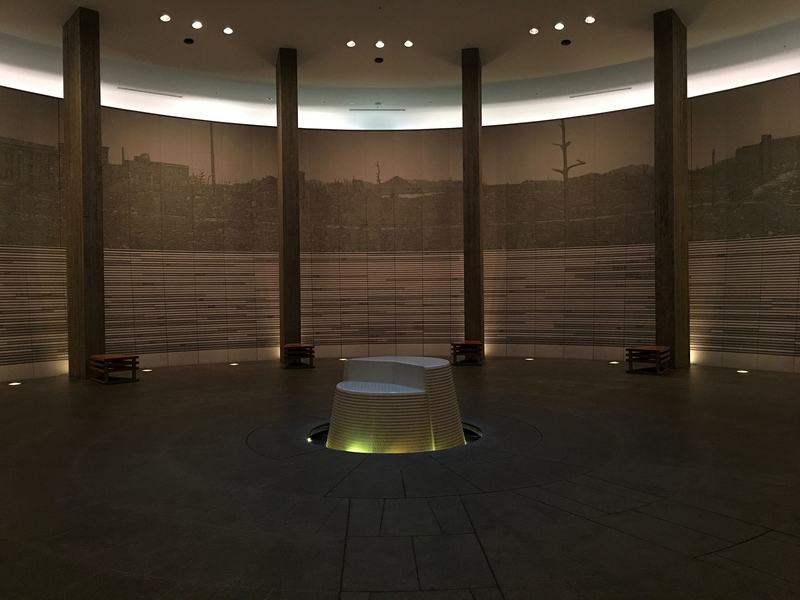 This building memorializes the estimated 140,000 victims in a serene underground hall. The glowing water fountain in the center symbolizes the agonizing thirst that victims suffered in the wake of the blast. In desperation many drank — or gave others to drink — the toxic “black rain” that fell roughly 30 minutes after the bombing. Even those who survived and healed from immediate injuries still faced years of uncertainty, wondering if the radiation exposure would cause cancer as they aged. 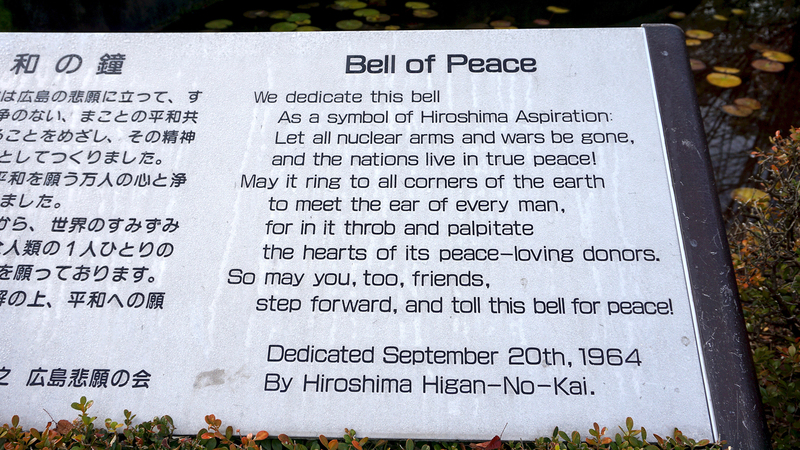 Spending time in Hiroshima’s Peace Memorial Park leaves one with a heavy heart but also with knowledge and perspective that visitors — particularly Americans — would be challenged to find elsewhere. 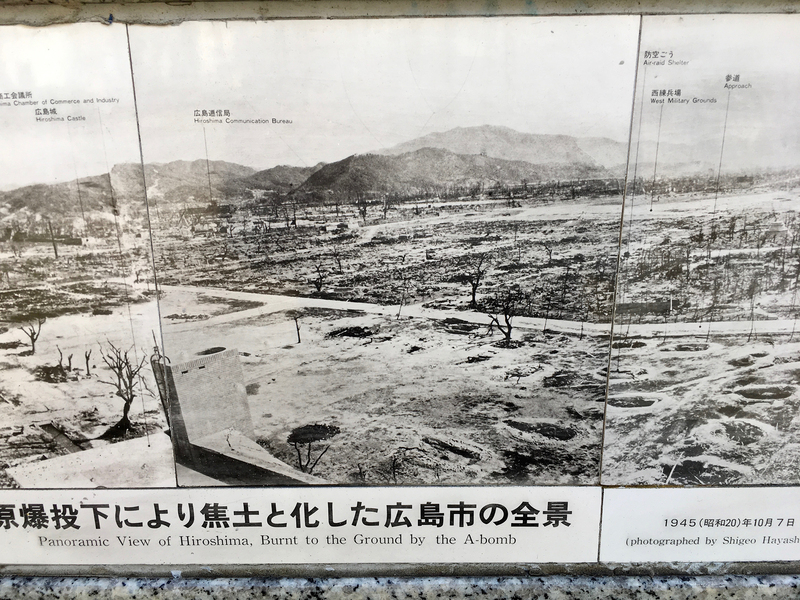 Growing up, my understanding of Hiroshima was mostly shaped by what I was taught in school or read in my textbooks (there’s an interesting article about how the bombing is taught around the world here). What little I learned in the classroom always focused on the science, or military strategy, or rationalization that dropping A-bombs saved lives. But what was never discussed, in addition to the physical devastation, was the human factor and the experience of the adults and children who were bombed. I’ve been looking for online resources that offer survivor stories in English, but I haven’t found a good, comprehensive website to share. But here’s a story published recently by the BBC that provides a lot of context and photos, in addition to a survivor’s moving account. 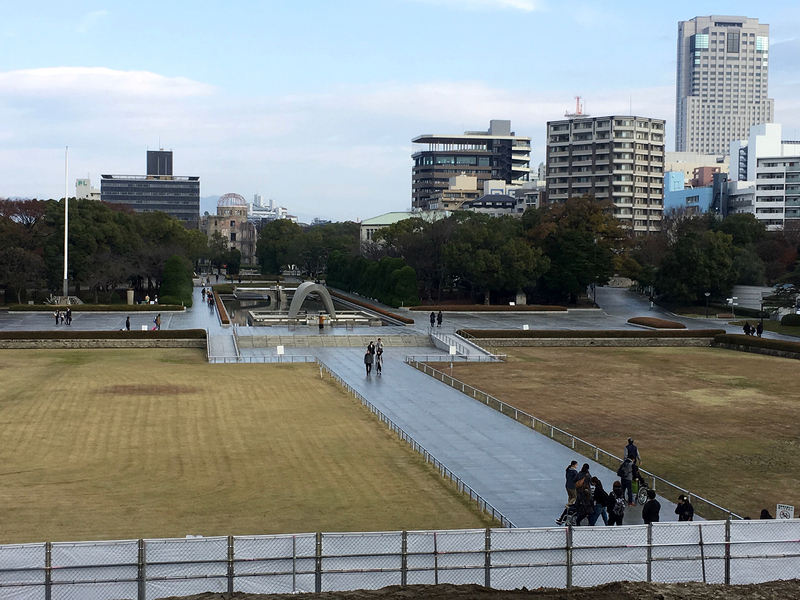 I also don’t want to leave the impression that my trip to Hiroshima was a negative experience, or that the Peace Memorial Park is the only reason to visit. I actually found the city to be lovely and bustling with activity, and the people I met there were incredibly kind. When I arrived, I had no idea I’d be so sorry to leave just a few days later. 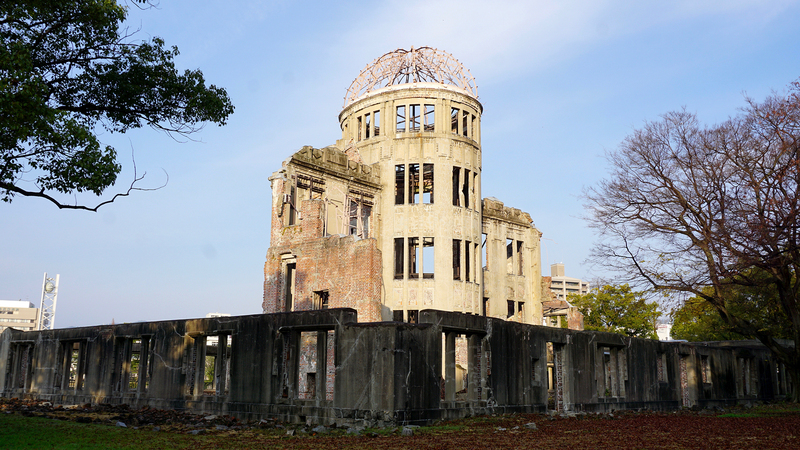 I’d encourage anyone traveling to Japan to spend at least a day in Hiroshima. The city welcomes visitors with the hope that they’ll be impacted by what they see and spread a message of peace throughout the world. It’s a message I encountered everywhere in the city — even on the sidewalks. 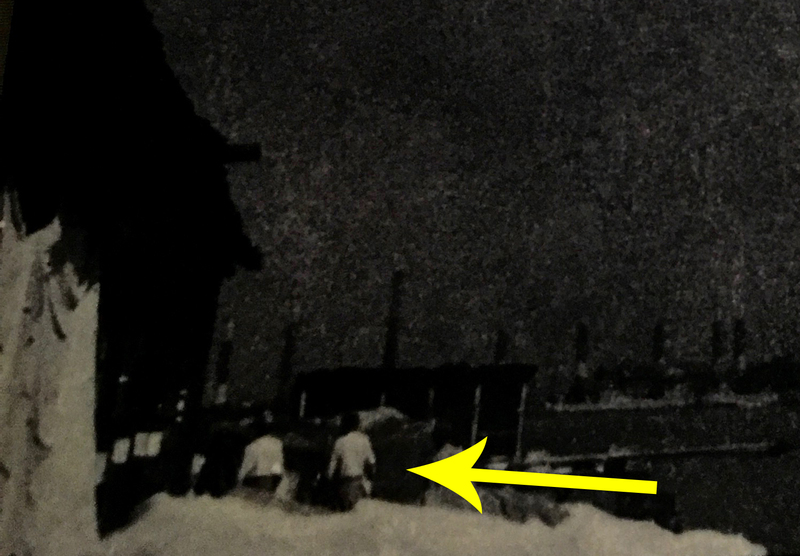 Here’s what Hiroshima looked like after the bomb was dropped. And what it looks like today. 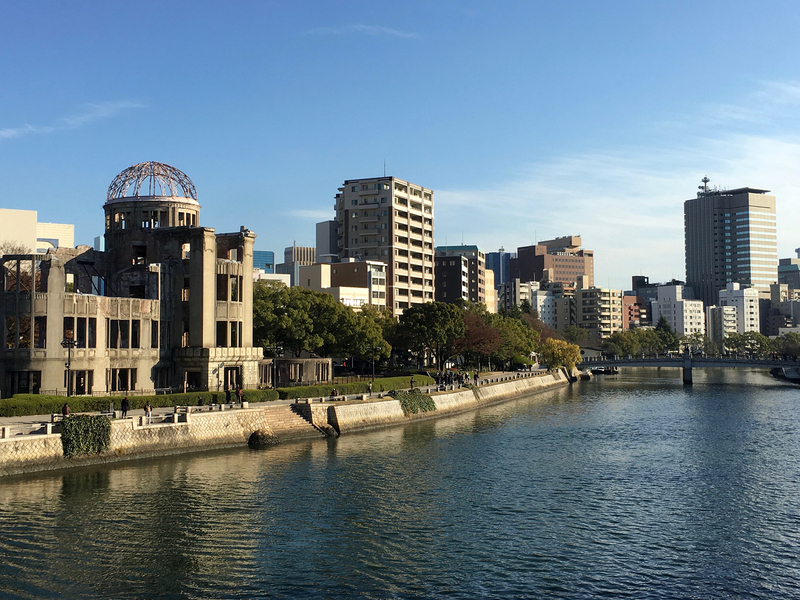 This monument embodies the hope that Hiroshima, devastated on 6 August by the world’s first atomic bombing, will stand forever as a city of peace. 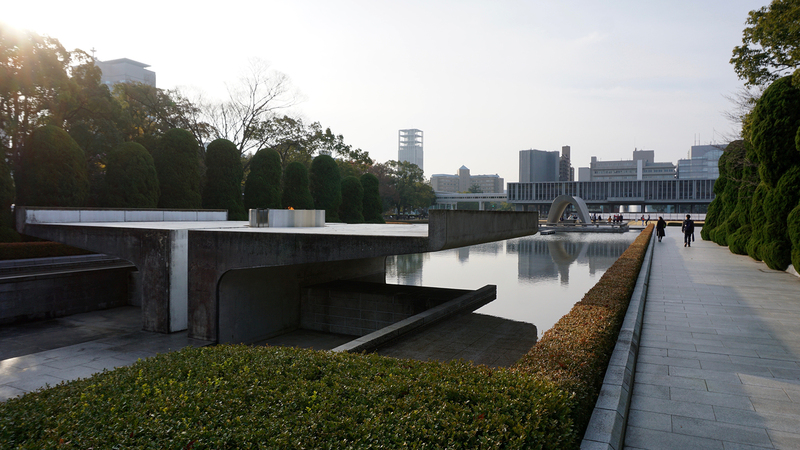 The stone chamber in the center contains the Register for Deceased A-bomb Victims. The inscription on the front panel offers a prayer for the peaceful repose of the victims and a pledge on behalf of all humanity never the repeat the evil of war. 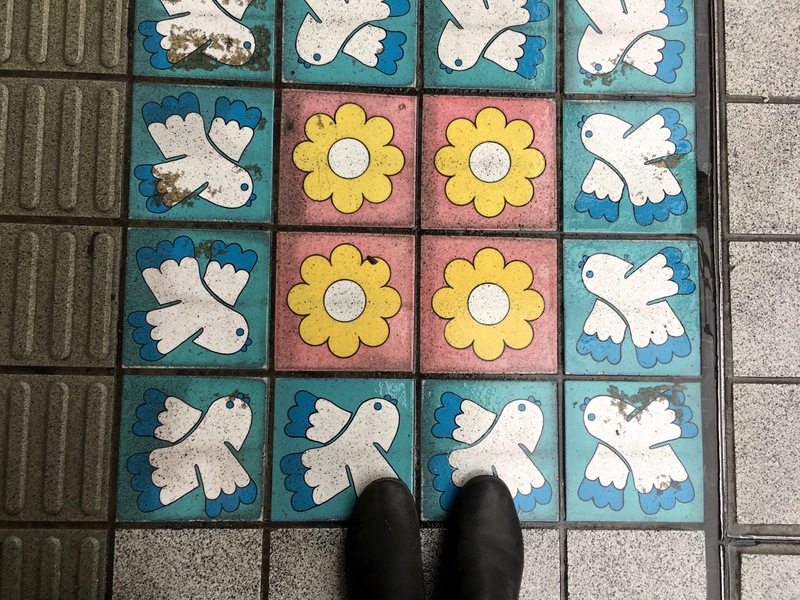 It expresses the spirit of Hiroshima — enduring grief, transcending hatred, pursuing harmony and prosperity for all, and yearning for genuine, lasting world peace. Previous Post Japan: More to love!